Welcome to the wild and crazy world of recruiting and job placements. We get more applications than we can count and are pretty much on par with that 6.2-second industry average recruiters and HR managers spend looking at each resume. That is, except for those exceptional candidates we can find jobs for while we sleep. What makes these resumes shine? Here are five essentials to get a second look at your resume – and you. The job description section is not a task list; it’s a place for you to stand out. You were an administrative assistant for five years? We get the basics instantly: answered phones, managed schedules, cheerfully greeted visitors. Instead, tell us what made you the best damn admin they’ve ever had, i.e. Optimized workflow by organizing office-wide Trello lists for two dozen employees; Reduced tertiary expenses by 30 percent through renegotiating the Office Depot contract; Took initiative on xyz project during your spare time. Use numbers and measurable accomplishments whenever you can. Nine out of ten resumes that pass our desk make the often-fatal mistake of listing the tedious and obvious workload of job histories in precious space that could be used to highlight actual expertise and capabilities. Format your resume so the most important information grabs us straight away. Your specific knowledge and skills should jump off the page, whether we look at your resume for six seconds or six minutes. There’s no reason to sound like you’re writing a thesis-level dissertation. Write like you speak or a little fluffier, but not by much. The goal is to match the you on paper with who your future employer calls in for an interview. Keep up the energy by starting sentences with action verbs like accelerate, initiate, increase, perform and revamp. Avoid passive language. And never use first person. Ever. You may be applying to more jobs than you can count (hint: pace yourself, there is such thing as burn-out from the job hunt), but each application needs that extra TLC. Read job postings carefully and use the specific keywords, skill sets and software capabilities the company uses in your resume. Sure, it takes time. But think long term: the choice between sending off 50 generic resumes to positions you’d tolerate, versus five stellar and carefully drafted resumes to dream jobs is a no-brainer. Last but certainly not least: NO TYPOS. It seems über obvious but check, check and recheck every word and period or hyphen that goes in your golden egg. When you’ve read it at least a hundred times, have two friends look again for typos or missing commas. Even a minor slip in attention to detail is an automatic disqualification. Period. Bonus Tip: Owning Your Social Media “Resume:" Assume your future boss is all up on social media. Set your accounts to private so you can’t be searched and your posts can’t be seen by anyone who isn’t your friend. If you’re serious about ushering in the era of the professional new you, consider deleting those beer pong pictures from college. Plastic red cups have no place in #adulting. One step further is using your first and middle name or a pseudonym on your social media accounts – at least while you’re on the job hunt. And don’t forget to dust off your LinkedIn profile before sending that resume off. Recruiters and hiring managers will look at both. Make sure they work off each other and aren’t just carbon copies. Speaking of, subscribe to our emails and don’t miss next week’s Tips from a Recruiter: Make your LinkedIn Profile Stand Out. Need help with your resume or LinkedIn profile? You can learn more about our Career Coaching services by visiting our Career Coaching Packages page. Erin Schneider is the writer-in-residence and resume consultant who manages our Capa Career Coaching department. 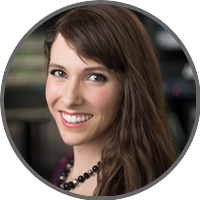 Since 2005, Erin has been writing and copyediting for a diverse range of publications from international business journals to Fortune 500 marketing content. Erin has a journalism degree from New York University and studied resume & interviewing strategies in a six-month course in New York City. She has also managed hiring and recruitment for online magazines in America and Brazil. Connect with Erin through email and Linkedin. Made with ❤ in the San Juan, PR.